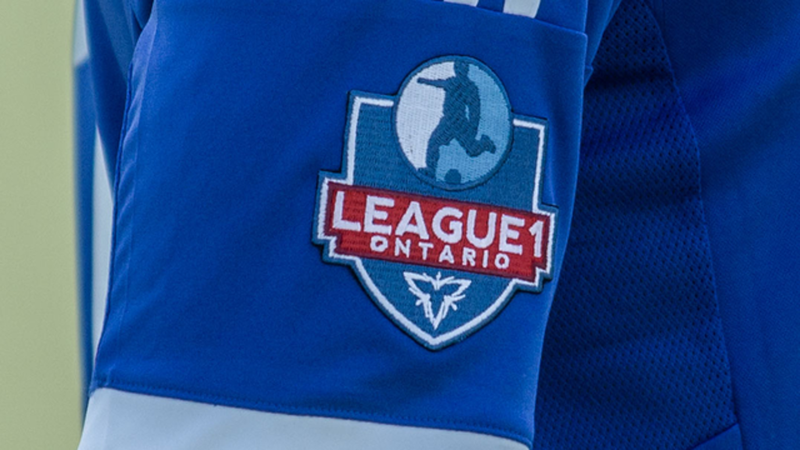 Vaughan Azzurri versus ANB Futbol Academy was supposed to be a clash of polar opposites: a first place title contender versus a team sitting in second last with only two wins. Despite these massive statistical differences, ANB would prove to be a strong test for Vaughan, with both teams grabbing a point in this 2-2 draw. Perhaps one of the fastest goals in League One this year, ANB player Anthony Smith, managed to get on the score sheet in the first minute of play. After losing the ball in ANB’s defensive third, a long ball was played over top of Vaughan’s left flank, Smith got on the end of it and his cross fooled keeper Colm Vance, curving into his near post - 1-0 ANB. After going down 1-0, Vaughan was quick to respond with some dangerous play, but a series of good chances were wasted. Andrew Ornoch failed to complete a 1v1 opportunity against the keeper and missed his penalty. Shortly after, Jarek Whiteman did all the hard work, made a great run down the left flank, shouldered an ANB defender off the ball, but fired his shot just wide of the post. Likewise, Carlos Noguiera also missed an opportunity when he tried lobbing the ANB keeper. As it goes in football, whenever you miss a series of chances you become prone to conceding. In the thirty-third minute, Jashua Mills punished Vaughan, giving ANB a 2-0 lead going into the second half. Mills found himself in the Azzurri’s eighteen after an eloquent sequence of passes and slotted the ball in the far right corner. Vaughan did not have to change much in the second half; they created numerous chances, only thing missing was that killer instinct in front of goal. Noguiera got Vaughan back on track after getting on the end of a long forty-yard free-kick in the sixty-sixth minute. By the sixty-ninth minute, Vaughan would make it an even game. Ornoch made it look easy, masterfully controlling a lobbed pass with his chest while simultaneously beating his defender and tucking the ball away for the finish. It looked as if the Azzurri would complete the comeback, but in the eighty-seventh minute they failed to convert on a penalty shot. Not only did Vaughan lose two points, they also lost their best striker, as Andrew Ornoch and ANB player, Christopher Michael, were both sent off with red cards after an altercation on the field. Vaughan now sits only two points ahead of Toronto FC Academy, but has also played two more games than the Reds. ANB remain in second last, with only eight points. Statistically, things don’t look good for ANB, but the numbers don’t tell the entire truth. ANB is a side with potential, they have individual talent and they move the ball well, but they are in desperate need of some luck.